After spending energy making other people's designs/patterns (not that they aren't wonderful), I have discovered my own inner designer! 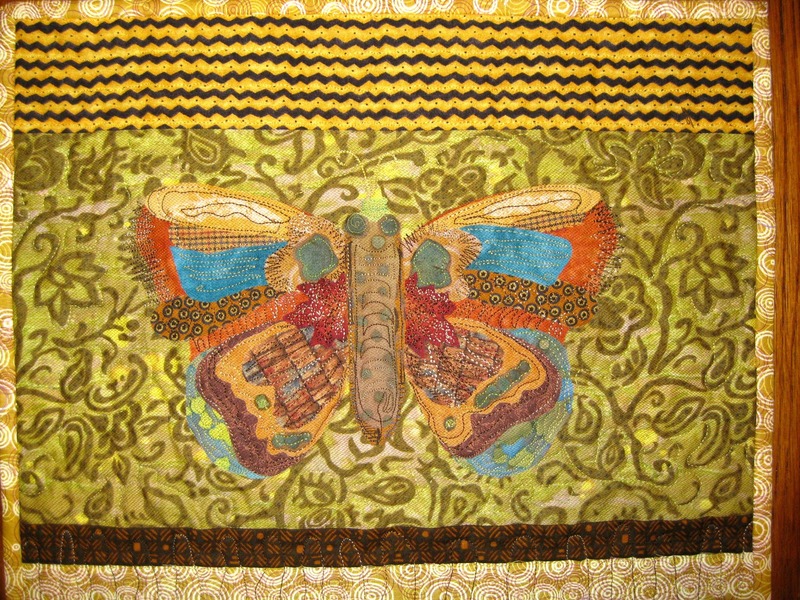 This is a butterfly I designed, using a technique perfected by fabric artist, Susan Carlson. Here's a silly 'portrait' of my canine friend, Riley! 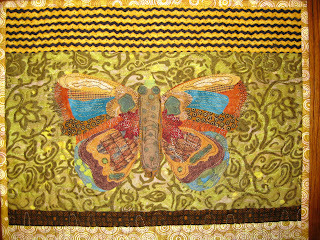 I love them all Susan, but I really like the fancy free motion stitching one. That pattern is so intriguing to me.